A vast amount of legislation regulates labour relation in South Africa with the added minimum wage as announced, to be implemented om 1 May 2018. The Department of Labour has made it know that they are planning to inspect as many businesses as possible for compliance with the national minimum wage. The inspector form the Department of Labour will also make sure that employers comply with all other relevant labour legislation, regulations and rules. An employment contract is crucial in managing labour relations. It forms the basis of the relationship between the employer and the employee. It defines the terms and conditions as agreed upon between the parties and regulates their relationship. Furthermore the employment contract describes rules and responsibilities that the employer and employee must adhered to. The employer can implement proactive clauses in the employment contract, such as a period of probation, to eliminate possible future disputes. Incapacity, where employees who are unable to perform at the required standard have a huge impact on a business’s normal operations. Most employers don’t have the luxury of spare capacity concerning their workforce to compensate for this deficit. Employers have the right to establish a fixed standard in the workplace in terms of quality and quantity and to give reasonable and lawful instructions. The employment relationship is essentially built on trust and confidence with the employment contract as key in managing labour relations. The employment contract is the basis of the relationship between the employer and the employee. Therefore defines the terms and conditions as agreed upon between the parties and regulates their relationship. Furthermore the employment contract describes rules and responsibilities to be adhered to by both the employer and the employee. 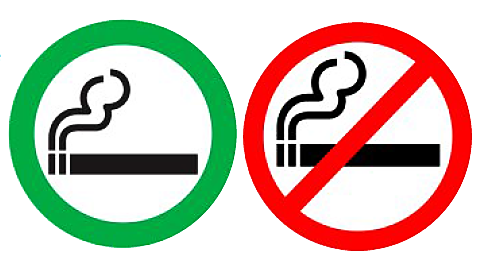 Employers may adhere to strict requirements as set out in legislation when providing employees with a designated smoking area. The number of smoke breaks that employees take during working hours is often a concern for employers. This could result in the employer remunerating an employee for a tremendous amount of time the employee did not work. Cameras and video surveillance can be used as an effective tool to prevent crime or misconduct in the workplace. It can also be used to prove misconduct that happened in the workplace. There are however some requirements that employers need to adhere to in order to ensure that the use of cameras and video surveillance holds up in court. The relationship between an employer and employee is based on mutual benefits and respect. Clear rules and guidelines ensures that friction and misunderstanding are limited. This will in turn promote a productive and positive work environment. Once the employee has accepted the offer of employment, the employee has to provide a specific service to the employer in return for remuneration. If the employee is unable to provide such a service, it becomes difficult for the employment relationship to continue. Employers must ensure they have basic knowledge of the law of evidence. This includes the definition, what is admissible and what type of evidence carries the most weight in order to prove a case, as well as limit risk. When an employee is dismissed, the onus rests on the employer to prove the correct procedure was followed and there is enough evidence to justify the sanction. Compliance with legislation can be intimidating, especially for people without a legal background. Labour law is not negotiable and compliance requires specialist knowledge, which poses a business risk to the employer. One of the most important rules is that the employer cannot dismiss an employee under any circumstances, without holding a disciplinary hearing. This ensures that a fair procedure is followed and that there is substantive reason (proof) for the employee to be dismissed. What should you as an employer know? Evidence is defined as: “the available body of facts or information indicating whether a belief or proposition is true or valid”. It is not the argument, but rather facts or information to prove the argument is correct. During the disciplinary hearing, the chairperson can only make a decision based on the evidence presented at the disciplinary hearing. If admissible and trustworthy evidence were not presented, it cannot be taken into account.